Only one can win... right? I've mentioned it here before, but for those who don't know, I've been watching more movies lately. It's fun, and it gives me something to think about as I pass the time. I've been watching movies in theaters and at home, which has given me reason to consider which I prefer. Watching a film at the local theatre has obvious advantages- the big screen and surround sound are immersive, and there's just something about watching something brand new with a crowd of strangers. Even when nobody is making a sound, you can still feel those around you and it changes the watching experience. It's more exciting, especially with friends, and there's no wait for the movies to be released on Prime or Netflix. The atmosphere really is something special. With summer blazing on right now, it's also the perfect time to go to the drive-in to see two or three movies at a time in a unique way. Still, the value of viewing from home cannot be understated. There's a certain comfort to watching from the couch in a familiar, cozy place, and it's a lot cheaper too. Snacks and drinks are especially easier to come by, and it's more convenient to sit down where you already are than to go out. Because of this, I've been staying in more often. 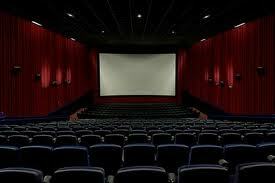 Theaters are good fun for sure, but the cost and travel time make them more for special occasions for me. That said, there's no reason not to have the best of both worlds. Theaters have begun adding more comfortable reclining seats and with membership cards, the price of going out to watch a new flick can be lowered. On the home side, a little extra set up time with some specially-prepared snacks and a nice blanket goes a long way towards making the home viewing feel like a theater experience. After all, sometimes the feeling of watching a movie can be just as nice as the movie itself.